Horizon 48A is packed full of breed impacting individuals that have all bred on extremely well. The Designer 63X sire has left a legacy of easy doing, deep bodied progeny in the programs where he has been used. 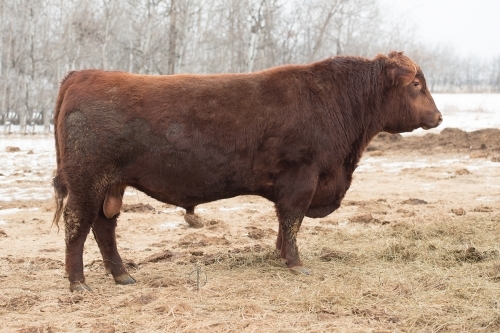 The outcross Birdie 91T is a moderate model angus cow who consistently produces great ones. The maternal side of Horizon’s pedigree reads like a who’s who from the solid Moose Creek breeding program. Sires such as Robobull, Eric, Flame, Leader, Olympian, Design & Alexander all line up within the genetic make up of Horizon 48A. Solid genetics wrapped up in a very functional package best describes this young herdsire prospect.